1. 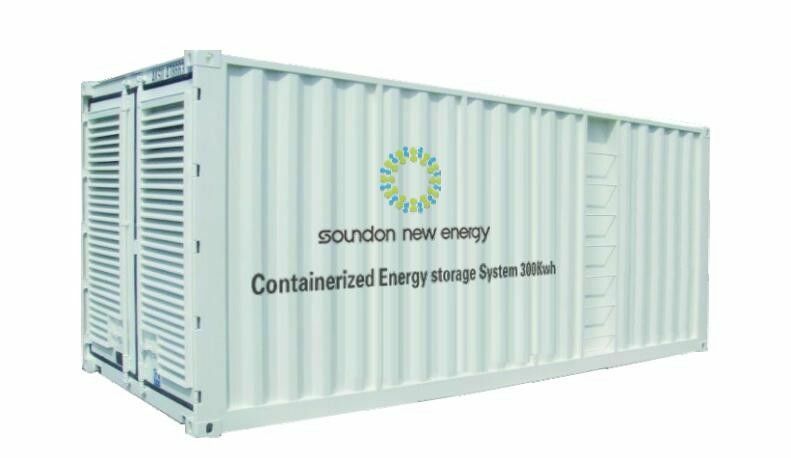 The energy storage system used 20ft container ,dimension :6100*2440*2590mm,there are 6PCS 364.8V140Ah (51Kwh) electric vehicle battery packs configuration to 3pcs energy storage module ,each battery module is 100Kwh which use different spec cells (pounch cell,18650,aluminum battery )and BMS supply to simulate the electric vehicle battery secondary use for big energy storage system. Based on the features of stagger utilization, the EV battery design is applied to ESS which use different spec cells (like :18650,Prismatic battery ,Aluminum battery) and BMS used to the corresponding battery pack. All of these are ensure the full use of stagger utilization. 2. 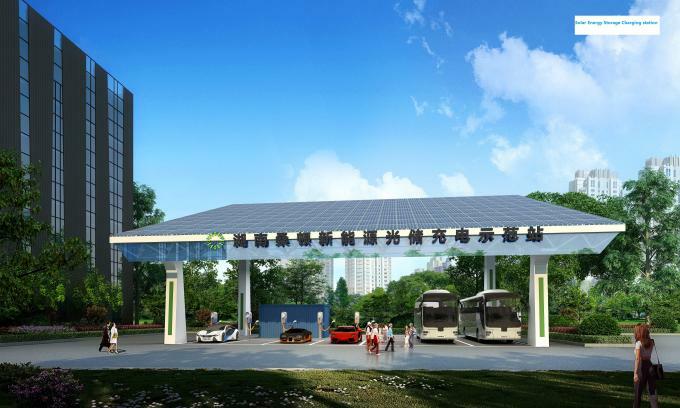 Combine the PV system with AC/DC charging Point, the charging station can be demonstrative with intelligent system. 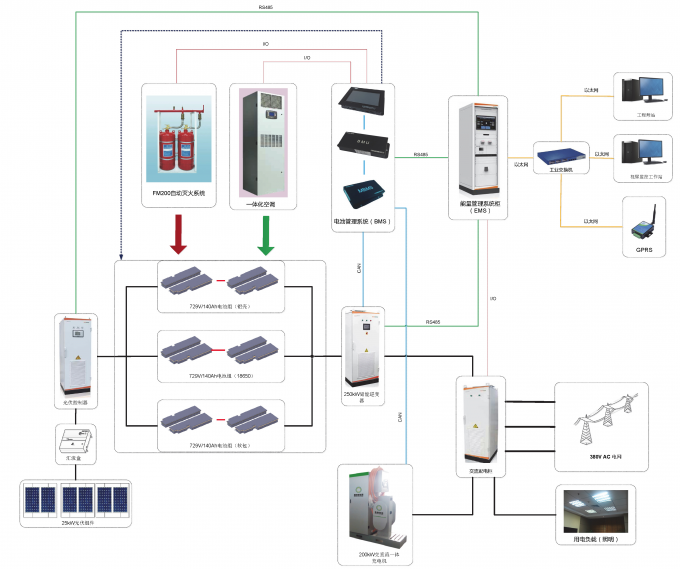 3.ESS have different application modes of peak-load shifting factory standby power and PV microgrid, which provide a good platform of developing the ESS.